With the solar panel today reaching historically low levels, it does not take an Einstein to forecast the future of solar. The world is fast approaching the danger levels when it comes to pollution and global warming, making the nations wake up and make the paradigm shift towards green energy. Solar energy has become the fastest growing alternative source of power today. Electricity prices are higher especially in rural areas and islands where bringing electricity from the grid is expensive. Solar+storage makes complete sense especially in these areas. It is expected that the prices of integrated solar storage products will fall, with the advancement in technology so that it becomes competitive with the grid prices in some areas. 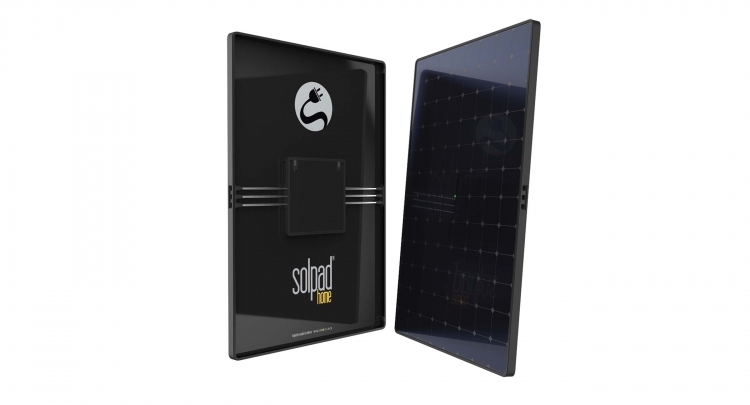 SolPads are another breakthrough in the solar+storage market, was unveiled by SunCulture’s entrepreneur in San Francisco. These are battery integrated solar panels – yes you heard it right for the first time a company will integrate battery into the solar panel itself. These panels are high efficiency and are capable of being installed over the rooftops or used as a standalone system in one’s home indoors. The product looks very pleasing with an aesthetic and sleek look, given the fact that it has an inbuilt inverter and battery system. It not only the looks but the features which make the product even more attractive. One of the features that is really helpful is you can also remotely control your electronic home appliances, through the mobile app of SolPad Home System, once they are connected to the SolPads. Also read Solar+Storage in Australia. SolPad is a fully integrated panel system that can even talk and respond to touch. This panel has an inbuilt battery, inverter and monitoring system. Alongwith it comes a mobile app that will constantly monitor its working on the customer’s phone. This automatically reduces the labor and technical soft costs. There is no need of wiring and cabling as it is a wireless system. The SolPad Home Connect system can link two or more SolPad Home panels, reducing the installation time too. The battery technology used is supposed to be safer than the standard lithium-ion-based batteries. According to SunCulture, SolPads can reduce total cost of installed solar and energy storage by up to 50%, when compared to the other solar+storage systems. The system has been designed intelligently in a way that it detects when to run on solar power and when to use grid power. For example during rainy or cloudy days it will use grid power and during the dearer daytime hours, it will use sun power or stored energy. It can further optimize power consumption and manage the distribution of power to various appliances/ home. SunCulture is a USA based solar startup started four years ago. The product is expected to be launched sometime during the second half of 2017.